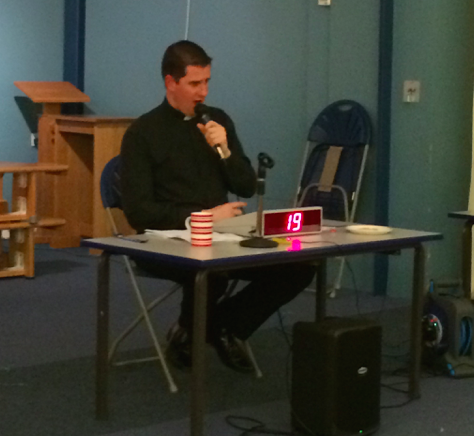 Sponsor forms have now been sent out across the diocese – that’s about 51 separate churches. Keep watching this space as electronic sponsorship will soon be going live too! 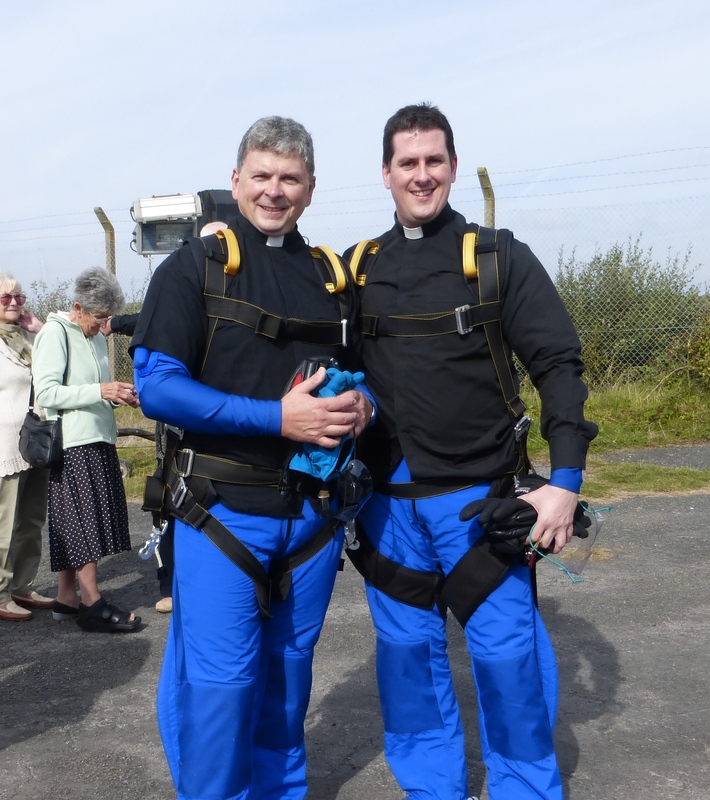 Fr Mansel and Fr Liam will jump from 12,000 feet – about 2.3miles – and will fall back to the earth at speeds approaching 120mph; The free-fall will take almost a minute….aghhhhh Scary stuff! 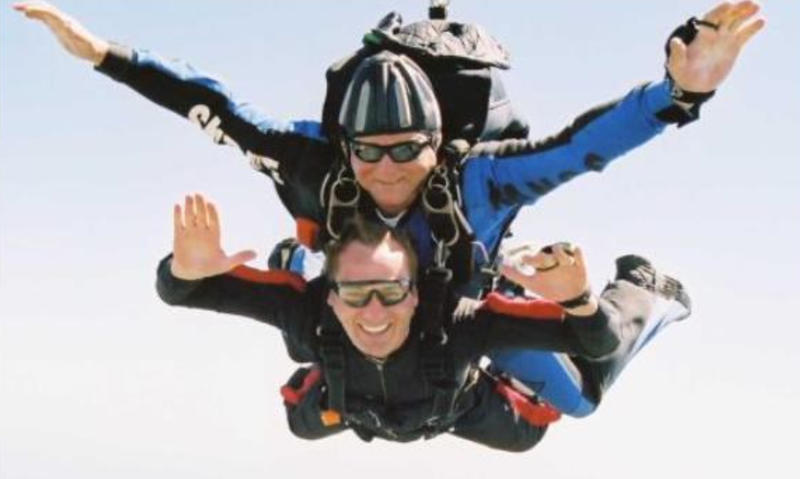 This entry was posted in Uncategorized and tagged Fr Liam, Fr Mansel, Jump, Menevia Jubilee Appeal, Skydive, Swansea Airport on August 7, 2014 by stdavidandstpatrick. This is Fr Liam’s loom band. The loom band craze has been sweeping the country for some time now. But did you know they can be a way of prayer too? Buy some loom bands – from basic colours to glittery, scented, glow-in-the-dark varieties, available in single colours or multi-packs from a wide selection of shops and on the Internet. Choose a prayer focus from the list below. Choose the colours for your prayer focus – each colour of band can represent something different for your prayer focus no matter which style you create. Choose the style of loom band you want to create – from a simple single-linked band that only requires two band colours and two fingers and is quick to do, to the more creative fishtail, diamond and railroad styles (see the Internet for instructions and other ideas, or ask your children). God and me Choose two colours of bands – one colour to represent you and another to represent God: for example, purple for God and white for you. Use the single-linked method to make a band with alternating colours (as shown above). Add the link to make a bracelet and wear it as a reminder that God is with you wherever we go – in front and behind as in the bracelet. Praying for our friends and family Choose three colours of band – one colour to represent you, one to represent your family and friends, and one for those who need God’s help. Using the single-linked method to make a band with alternating colours or with a block of each colour (as shown above). 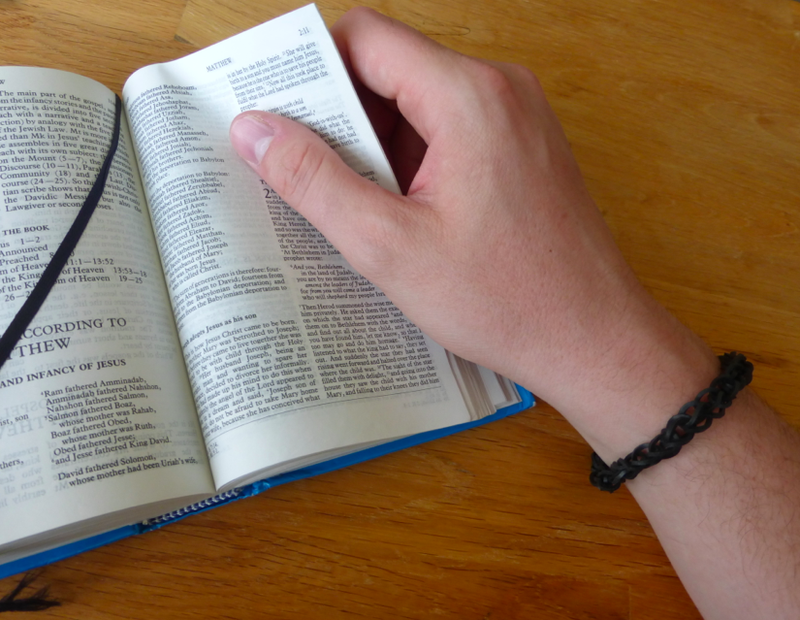 Add the link to make a bracelet and use it as a prayer bracelet – praying for each person or group as you move from colour to colour around the bracelet, or block of colour to block of colour. You could sit down as a family or with friends before you pray to talk about what you want to pray about and who will lead the prayers. Praying for the world Choose three colours of band – one colour to represent you, one to represent your country and one to represent the world. Pray for you and your family and your place in this world – caring for the people, animals and environment. Give thanks and pray for those in authority who make decisions to keep your country safe. Thank God for his amazing world. Pray for countries where there is war or sadness. God, you and me Use the three-colour alternating band method to pray for children who struggle with being away from a parent/carer/sibling/school/group and so on. The three colours represent God, the child and the parent/carer/sibling/school/group. As you make your band, the colour representing the child should be in the middle of the other two colours. Jane Butcher is responsible for developing the Faith in Homes ministry, is a member of the Barnabas Children’s Ministry team and is a parent. This resource was originally published on the Faith in Homes website. This entry was posted in Prayer and tagged Fr Liam, Loom Bands, Prayer on August 6, 2014 by stdavidandstpatrick.